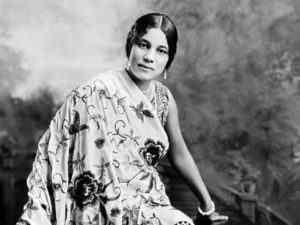 A New Life, A New Name: 'The Beatrice Morrow' To Rise At Grant Warehouse Site - Portland Community Reinvestment Initiatives Inc.
Beatrice Morrow-Cannady, a historic Portland pioneer in the fight for racial equality, will be honored by Portland Community Reinvestment Initiatives (PCRI). A new affordable housing development with community-serving commercial space is being developed by PCRI in the Northeast Portland neighborhood where the civil rights pioneer lived and worked. The new building will be named “The Beatrice Morrow” to recognize her work to achieve equality for the African American community and to improve race relations in the City of Portland and State of Oregon. The Beatrice Morrow is a housing development which will encompass 80 affordable apartments prioritized for historic residents of north and northeast Portland. In addition, the development will offer community space and community-serving commercial retail at street level. The development will be located at the former Grant Warehouse site on NE Martin Luther King Jr. Boulevard, between NE Cook and Ivy Streets. Construction will begin in early spring 2017, with completion anticipated in 2018. An important but often overlooked and hidden figure in the fight for racial equality in the Pacific Northwest, Beatrice Morrow-Cannady worked tirelessly to improve race relations in Portland and to secure equal rights for the Oregon’s African American community. Morrow moved to Portland in 1910 at the age of 20 and worked as the business manager, associate editor, linotype operator, and editorial and news writer for the African American newspaper, the Advocate. She helped found the Portland chapter of the National Association for the Advancement of Colored People (NAACP) and mobilized African-American women for the war effort, as president of the Colonel Charles Young War Savings Club and as head of a local Red Cross Auxiliary’s knitting unit. 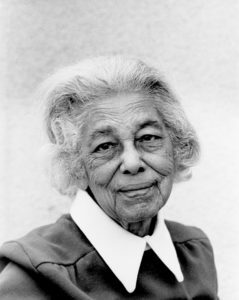 She graduated from Portland’s Northwestern School of Law in 1922 and became Oregon’s first African American woman to practice law. In 1932, she ran for the Oregon House of Representatives—the first African American to run for elected office in Oregon. Despite not being able to vote herself (African Americans were not allowed to vote in Oregon in 1932), Morrow earned 8,000 votes. Although she did not win the seat, she continued to work tirelessly to improve race relations. She gave hundreds of lectures to white high school and college students and was invited to speak on KGW, KOIN and other radio stations. She also hosted multicultural tea parties at her home every Sunday afternoon which combined entertainment, cultural history and politics. The assemblies received such a positive response that as many as 200 people would attend. For updated information about The Beatrice Morrow and other PCRI developments, visit pcrihome.org or the development’s Facebook page.